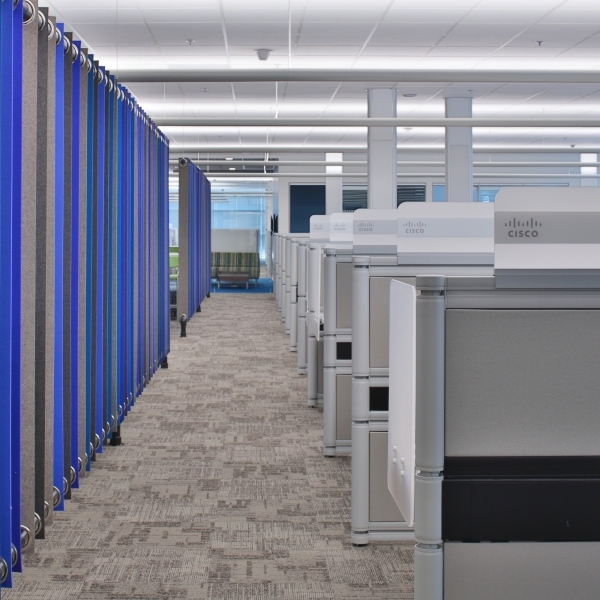 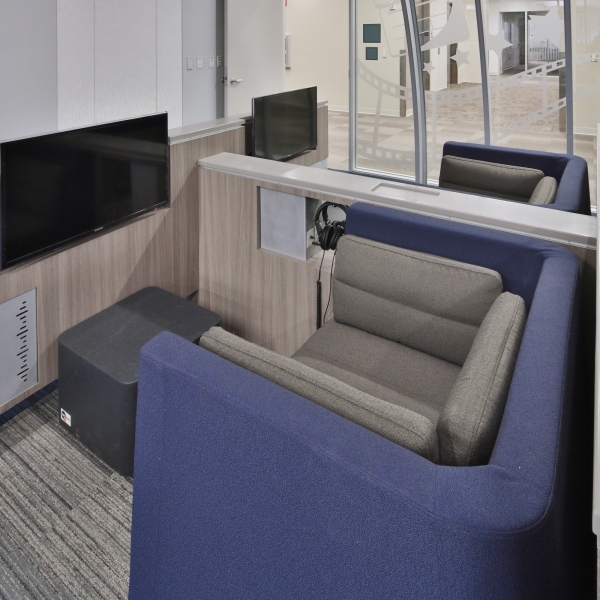 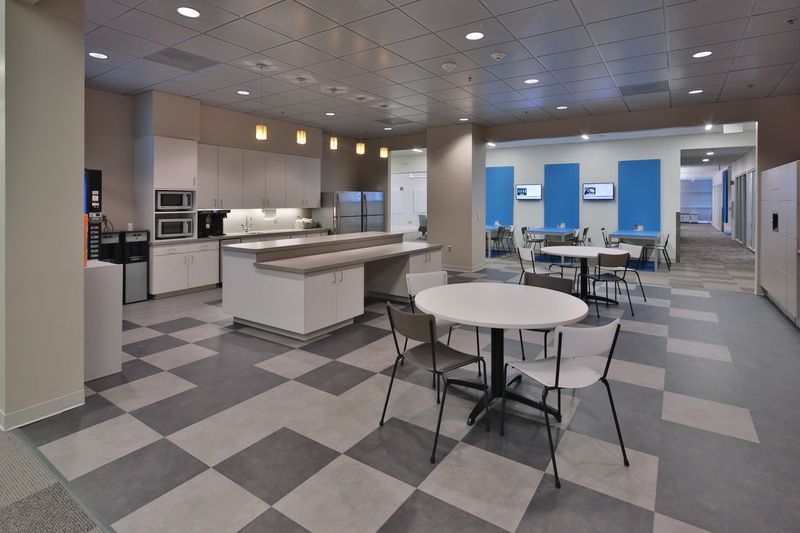 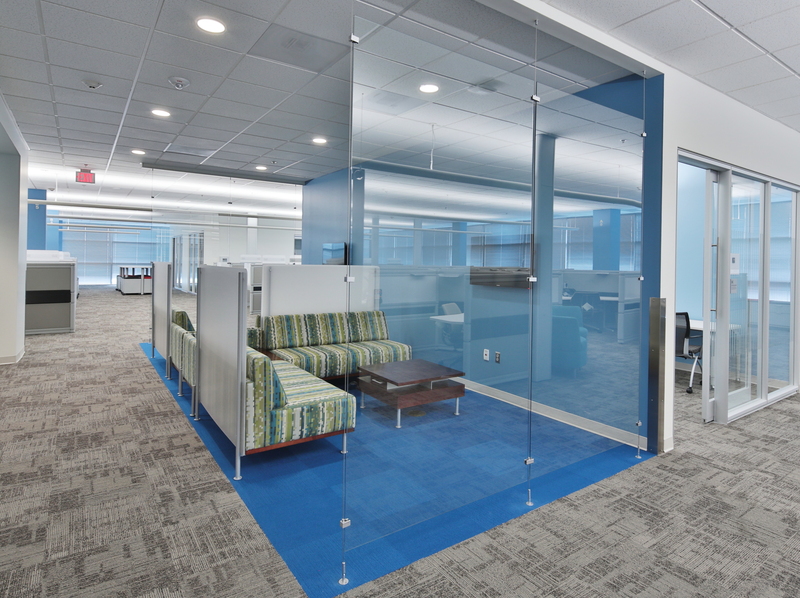 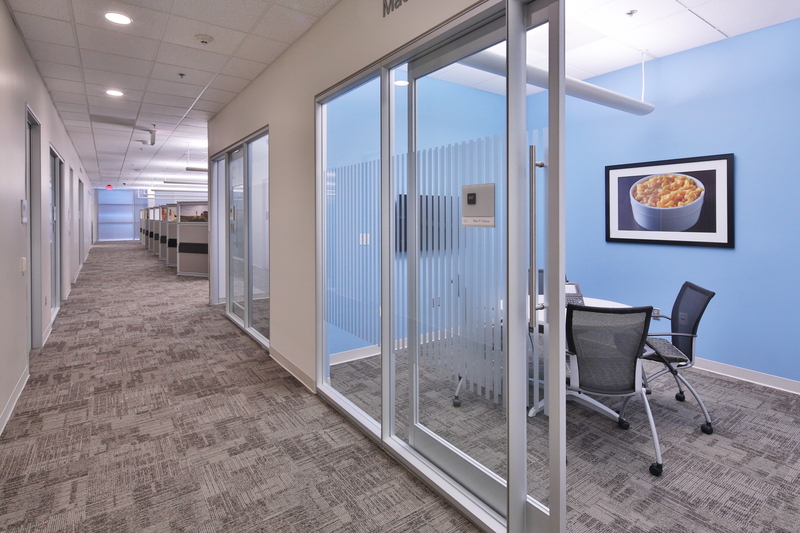 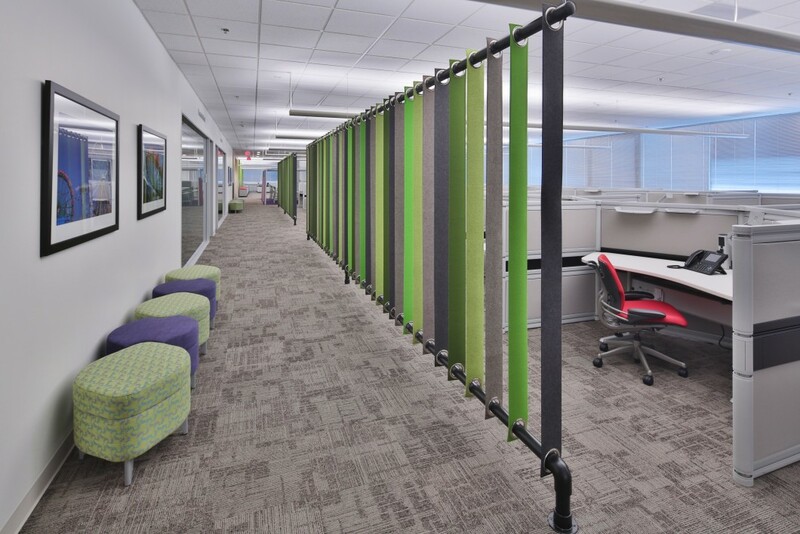 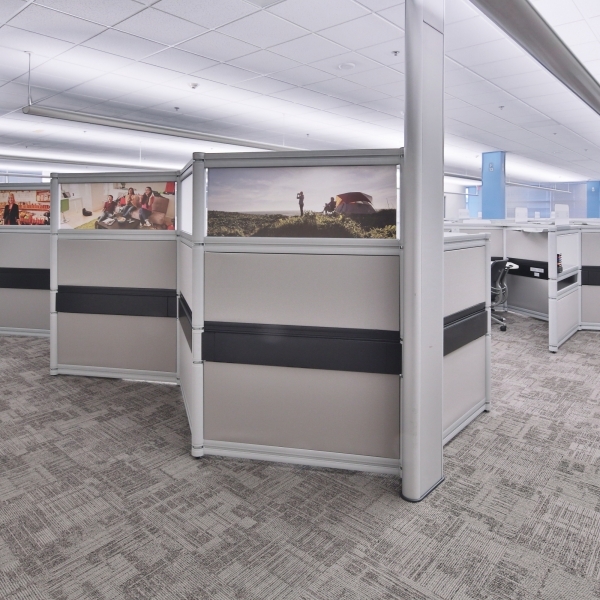 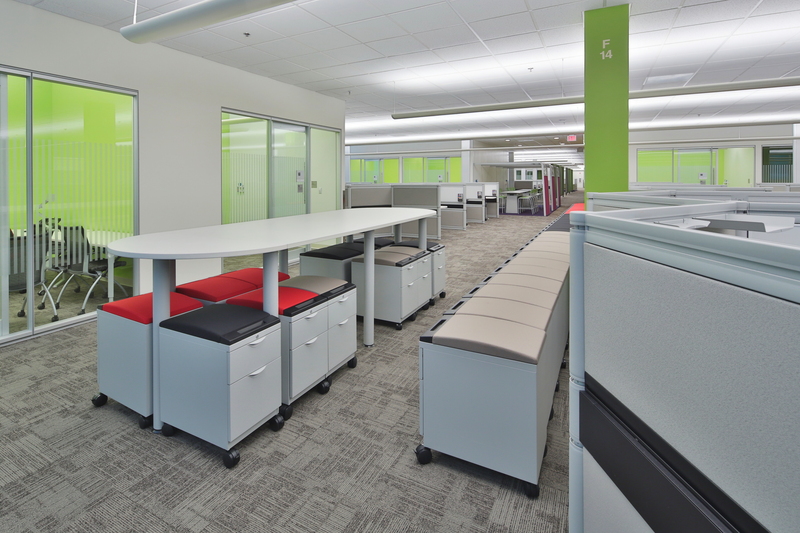 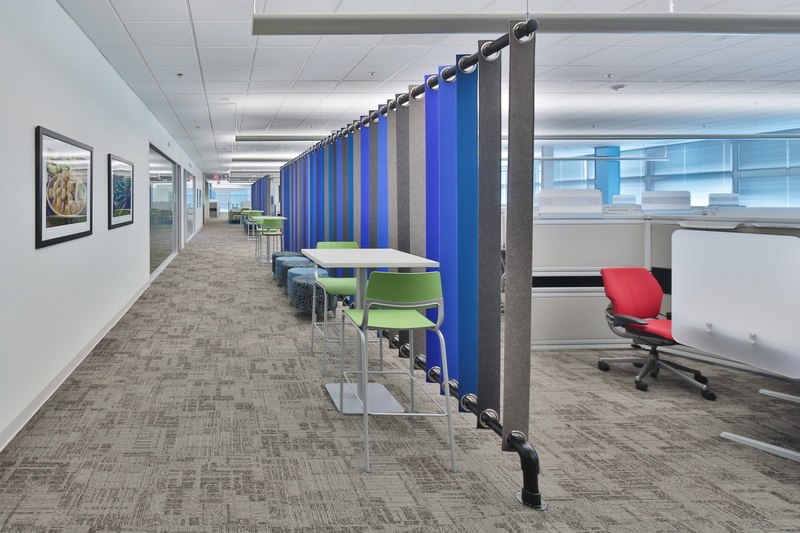 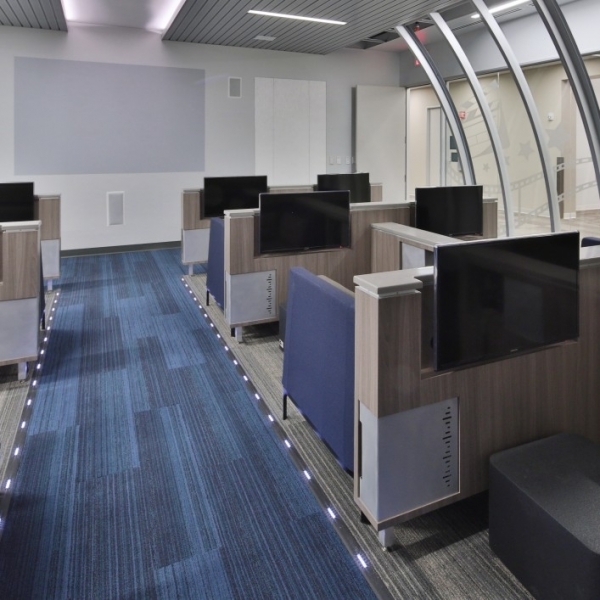 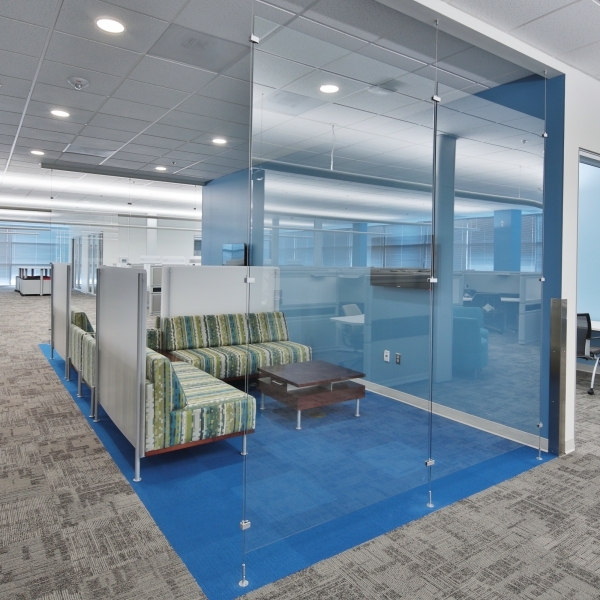 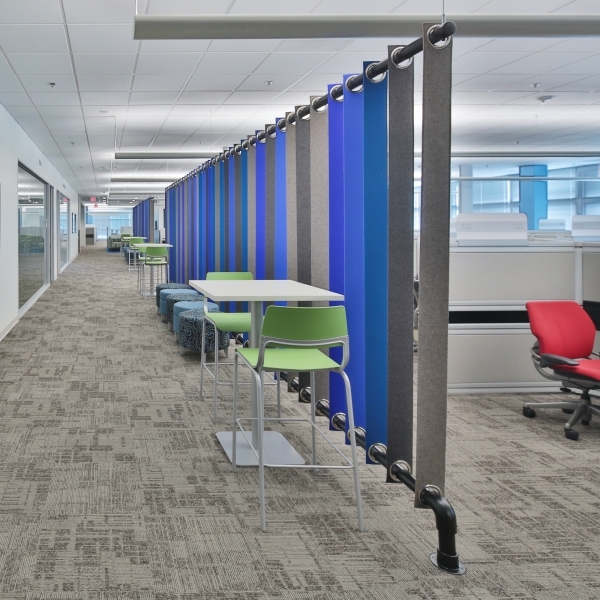 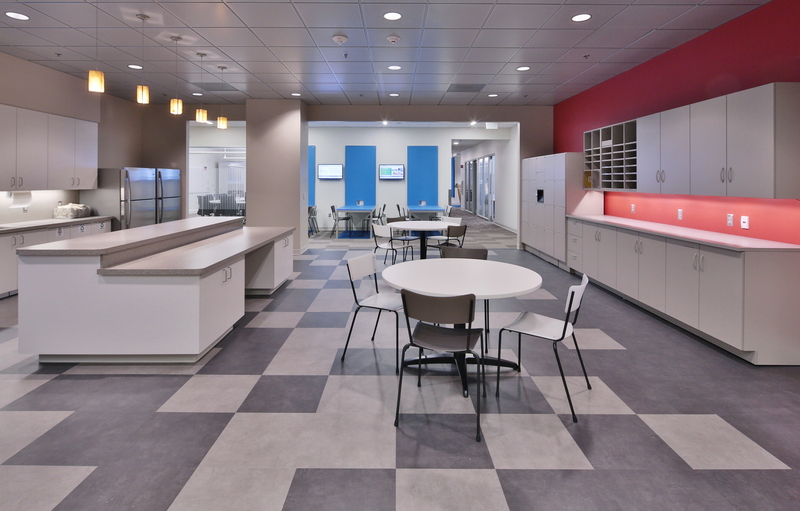 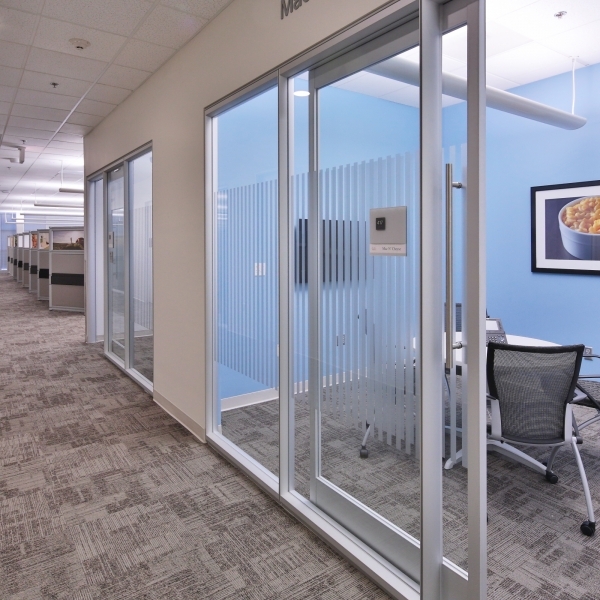 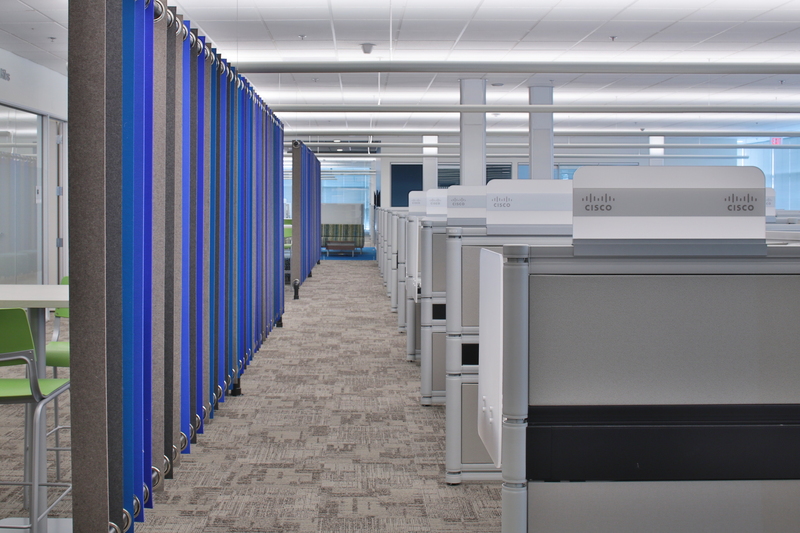 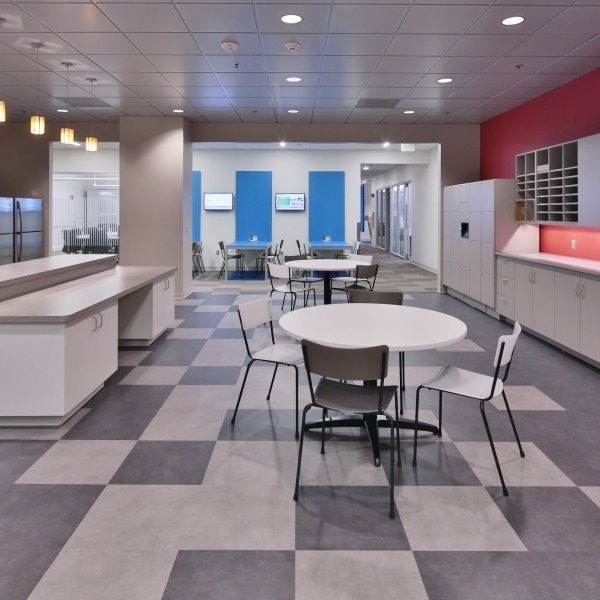 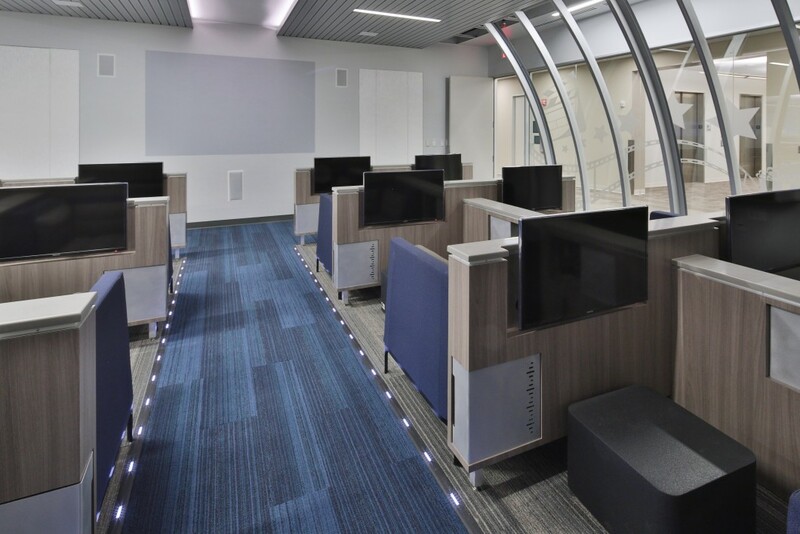 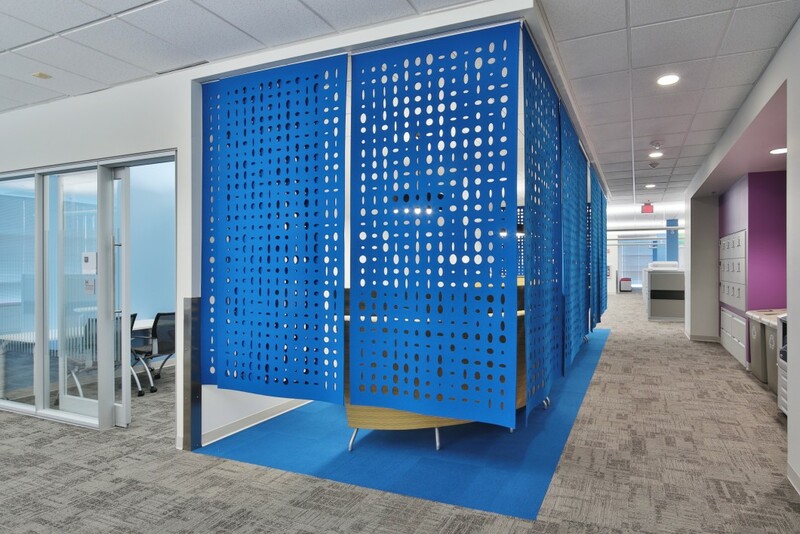 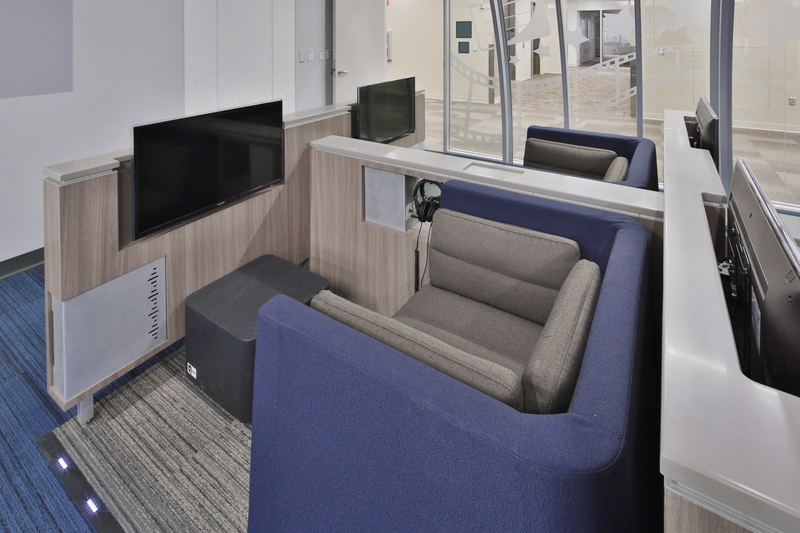 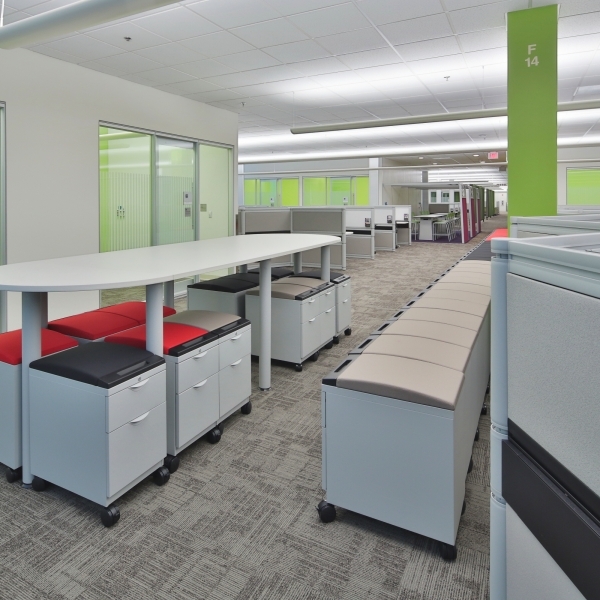 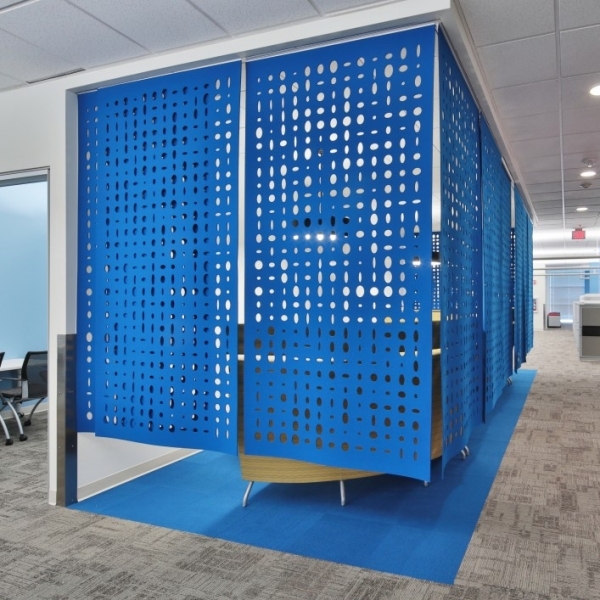 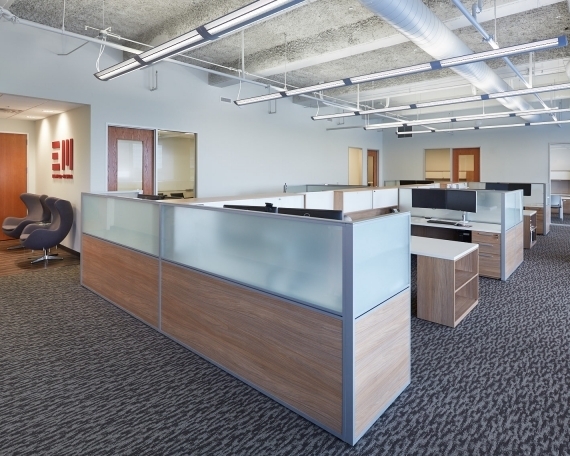 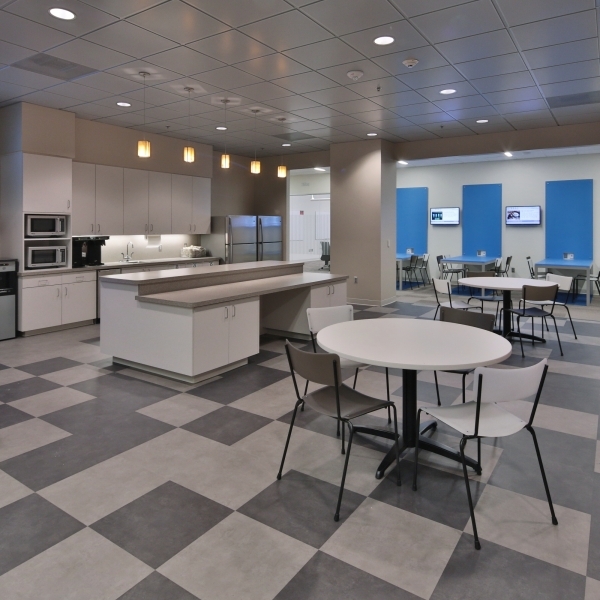 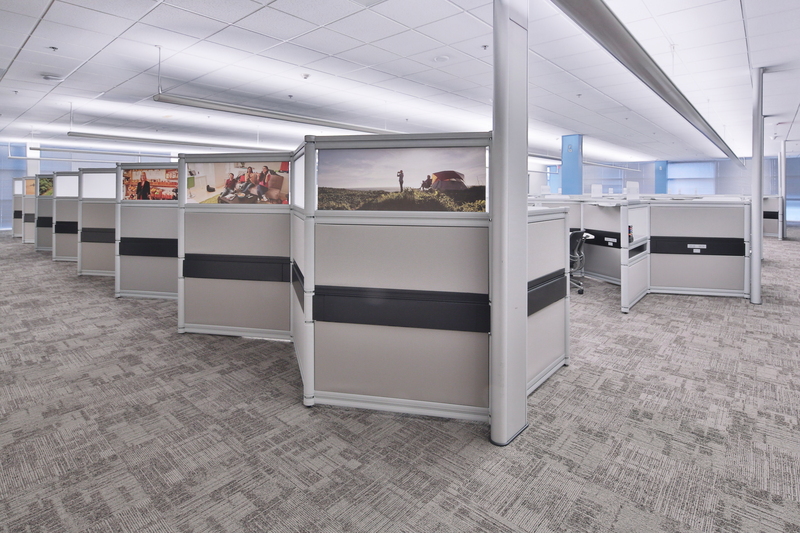 Cisco used their Teknion IE standard workstations with 100% height adjustability for all users and seated height privacy. 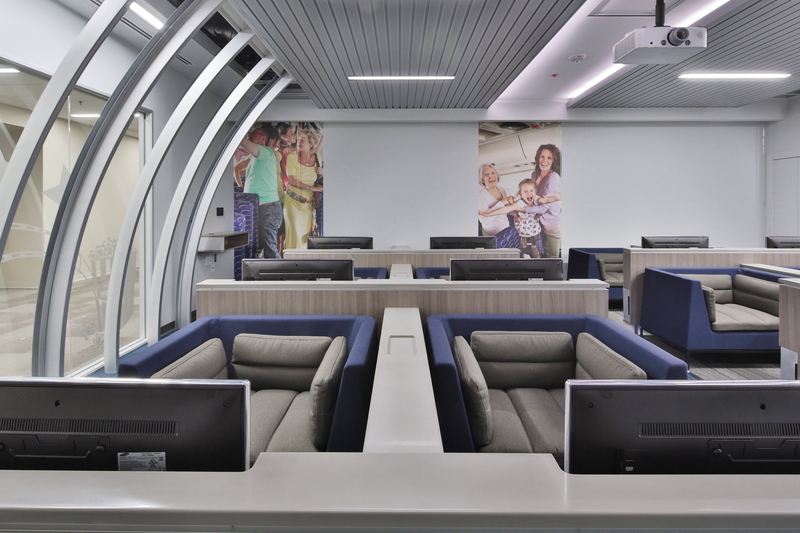 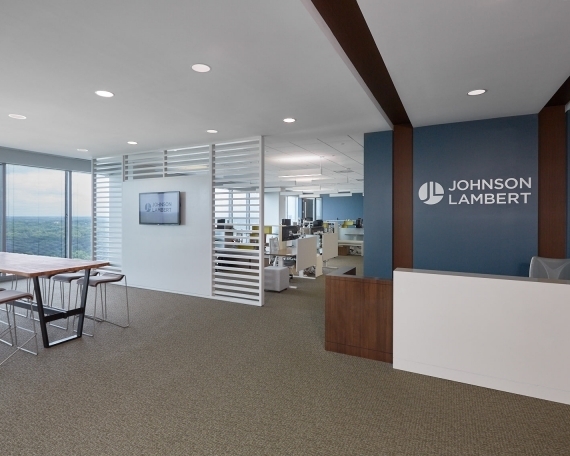 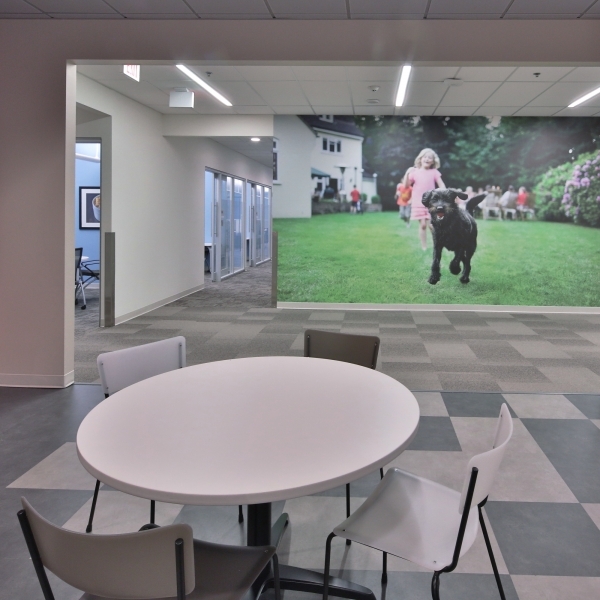 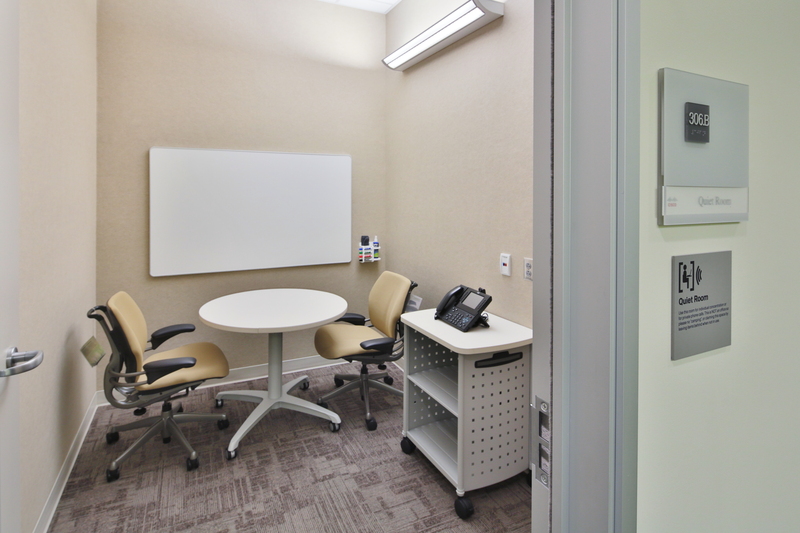 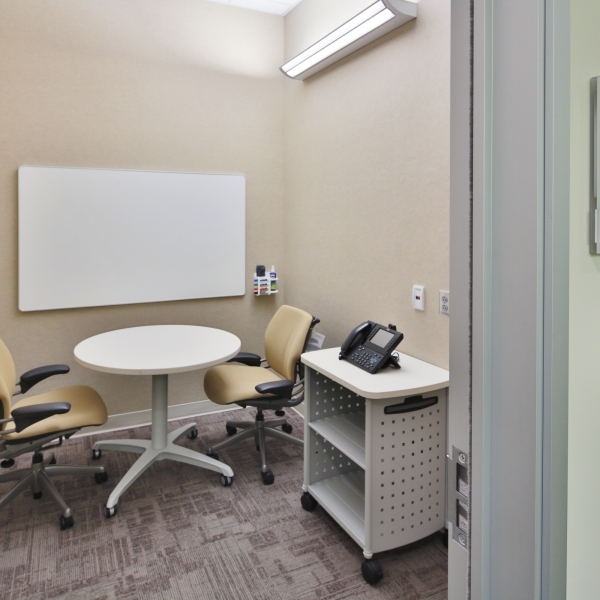 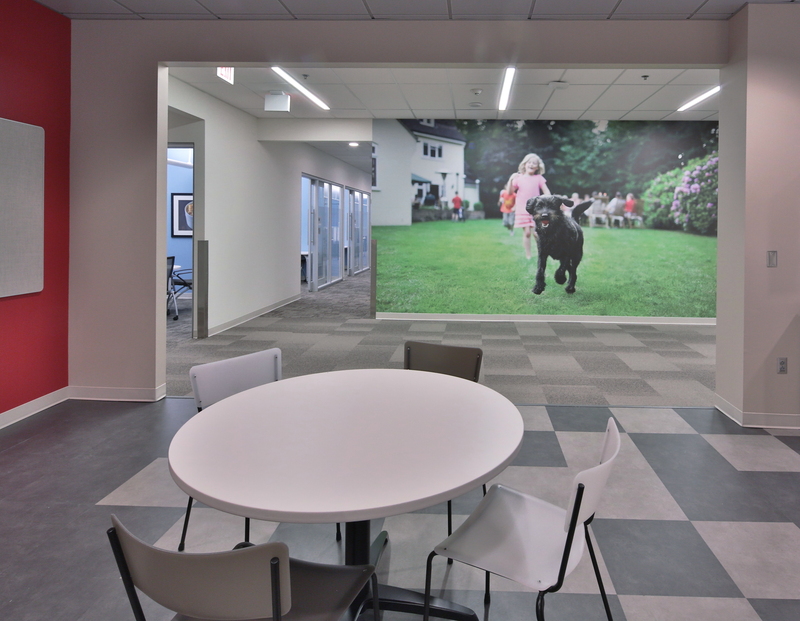 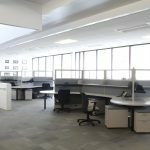 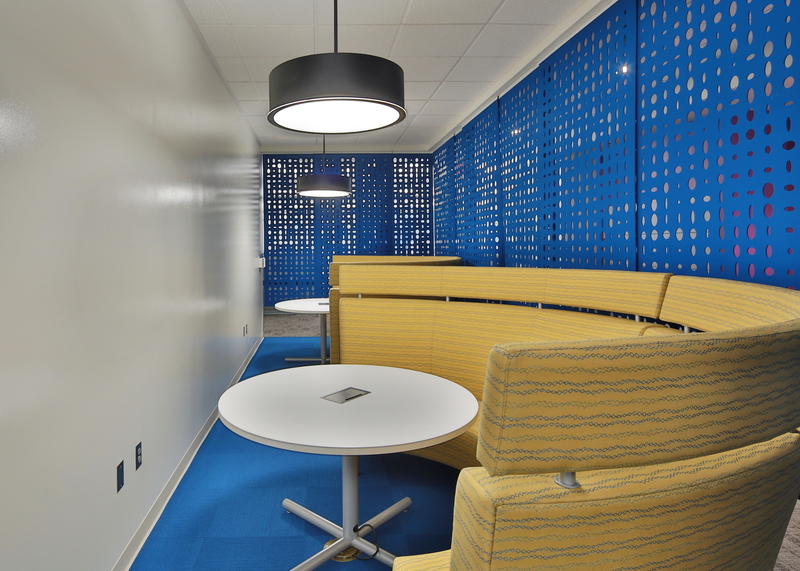 The main focus of this project was to add several different types of unique collaboration areas and team meeting spots. 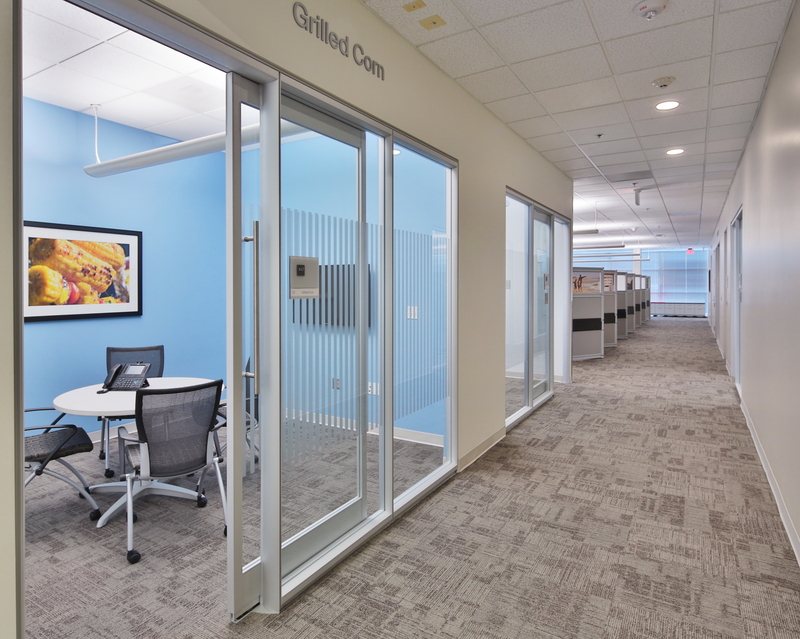 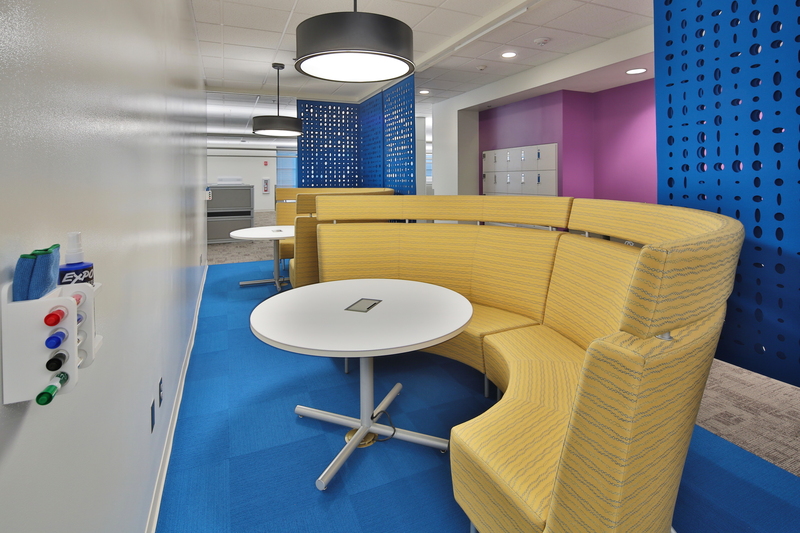 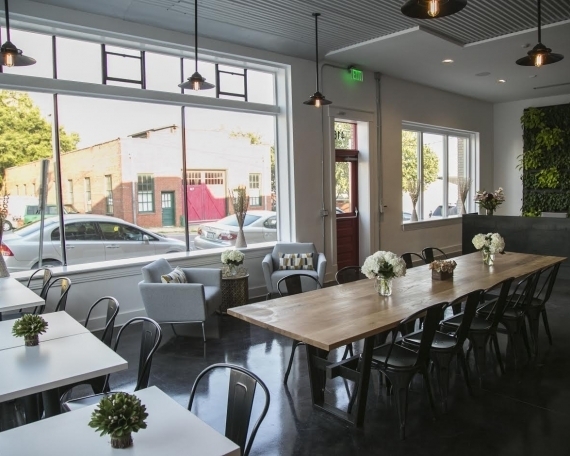 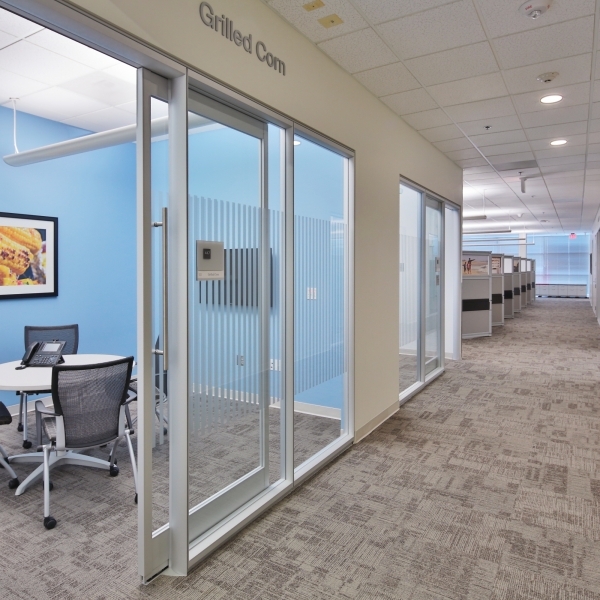 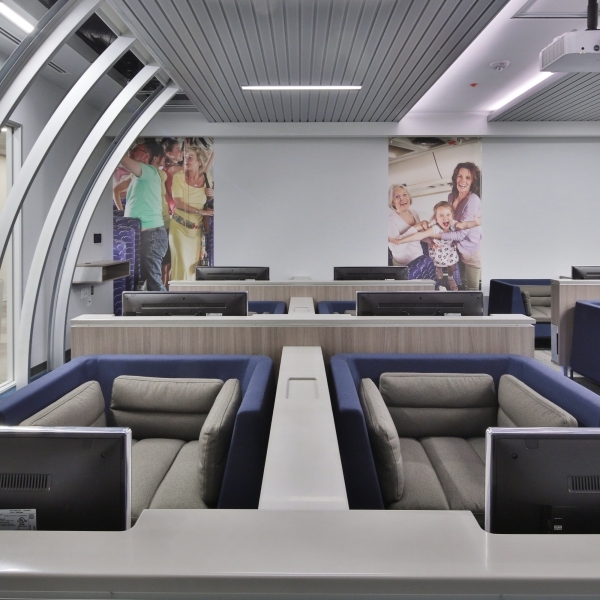 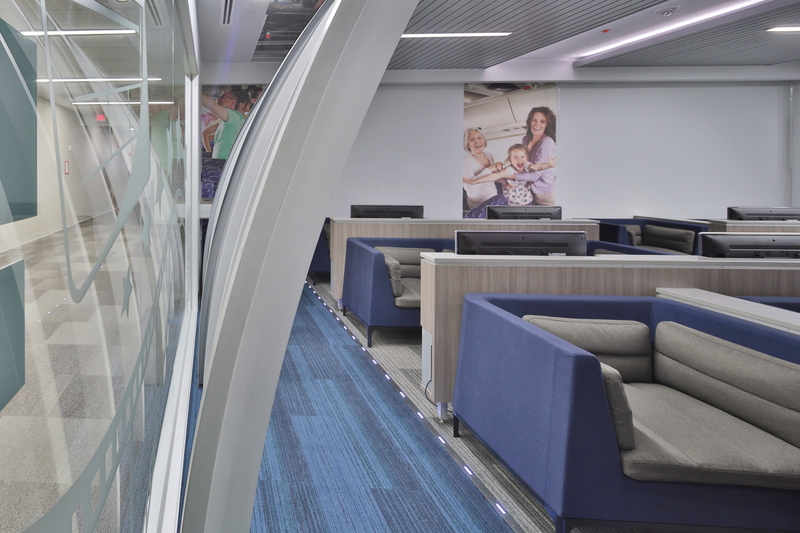 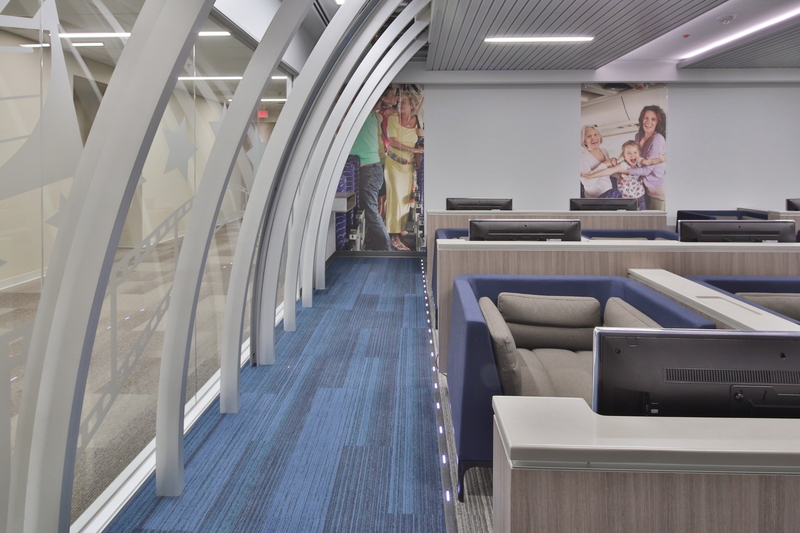 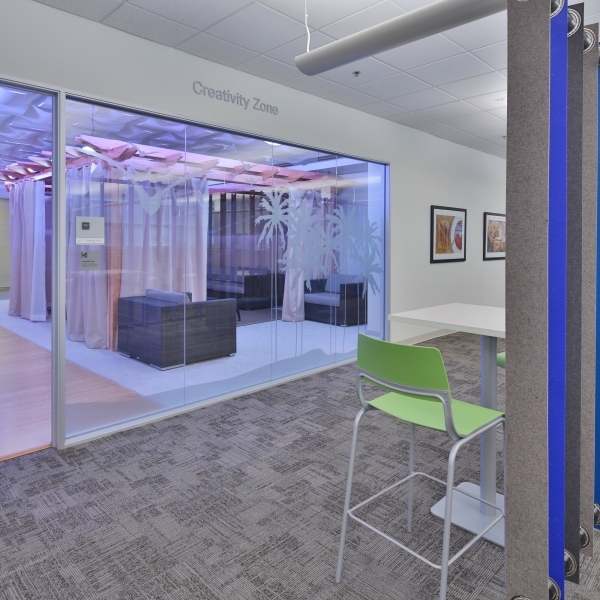 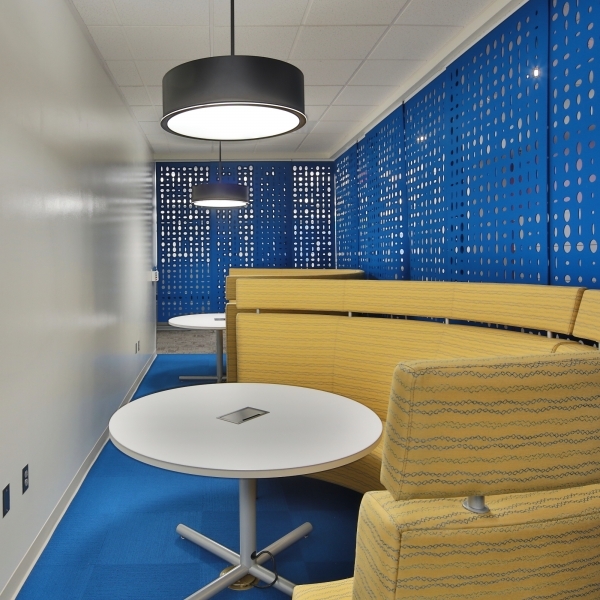 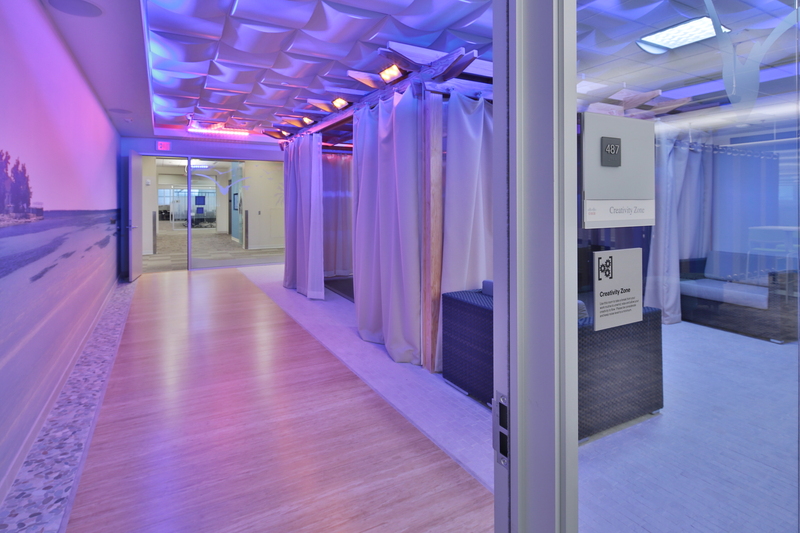 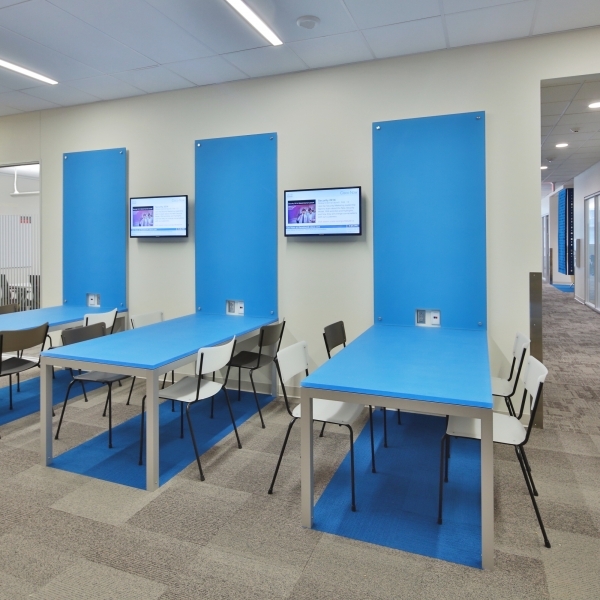 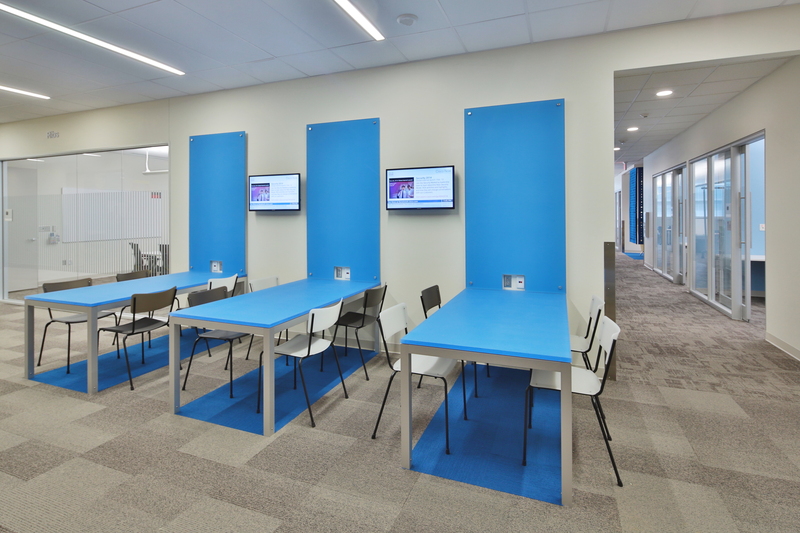 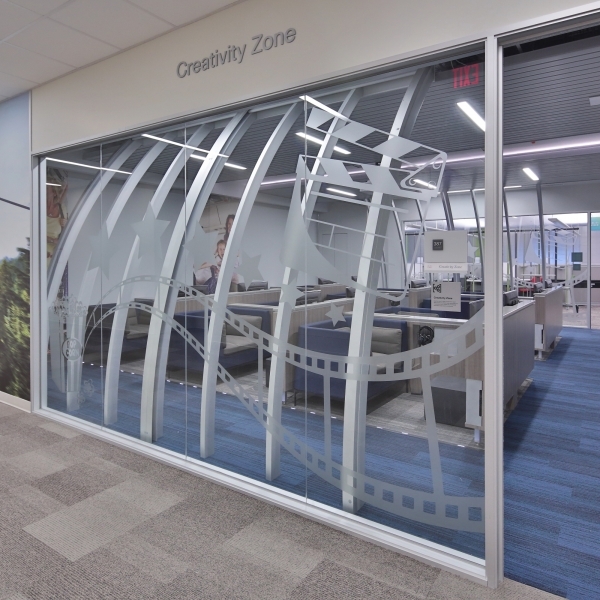 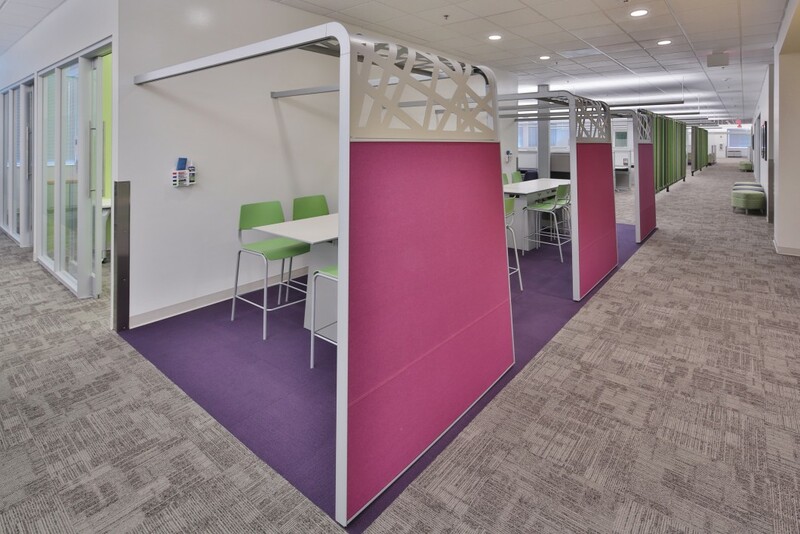 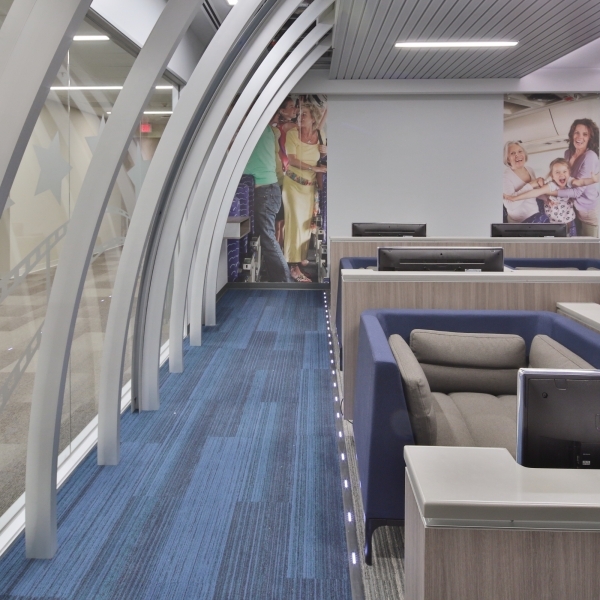 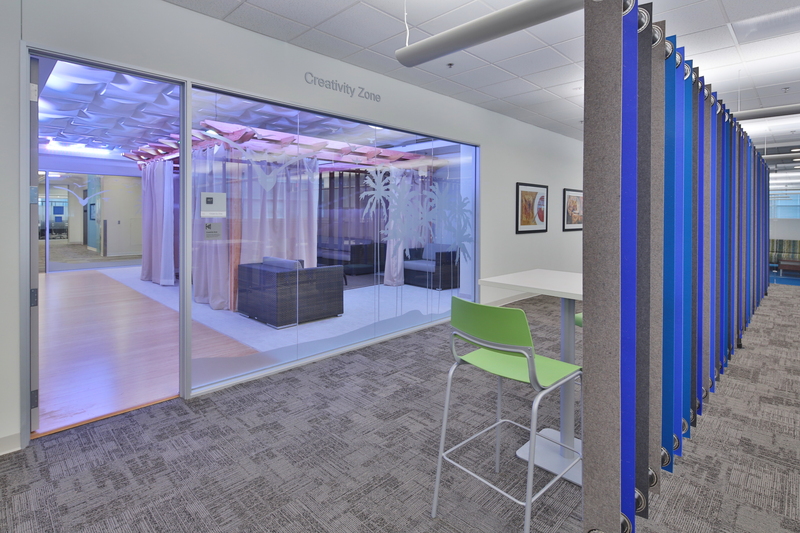 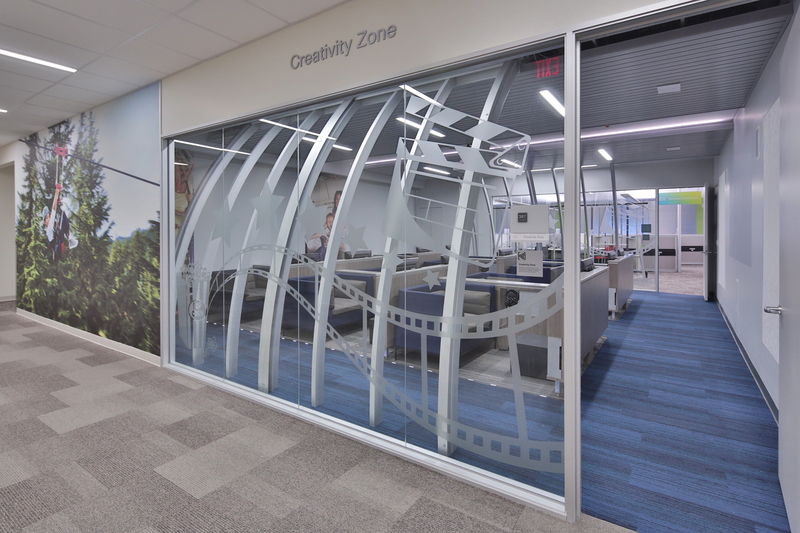 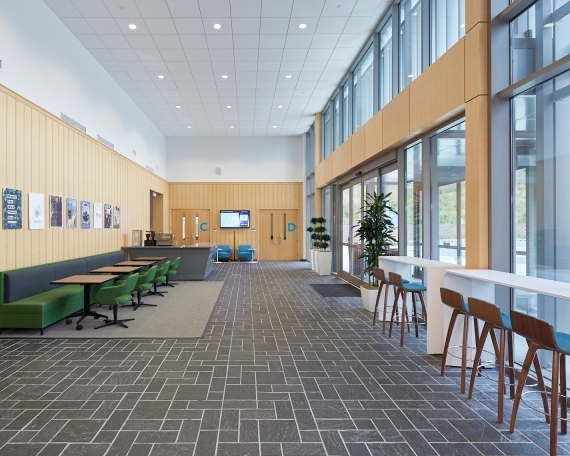 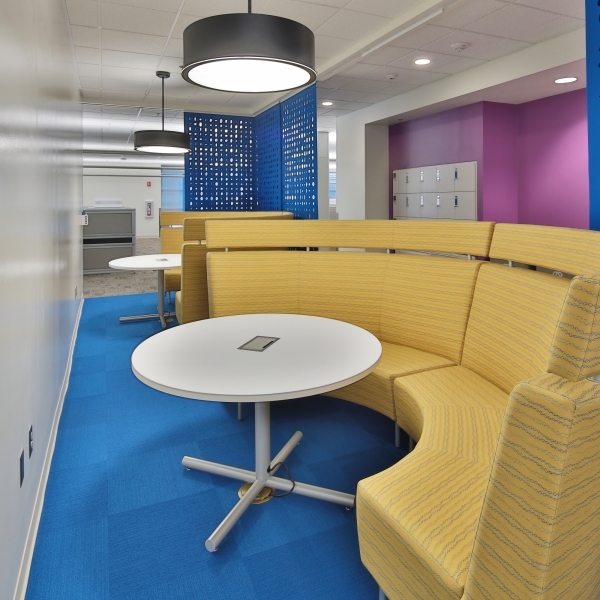 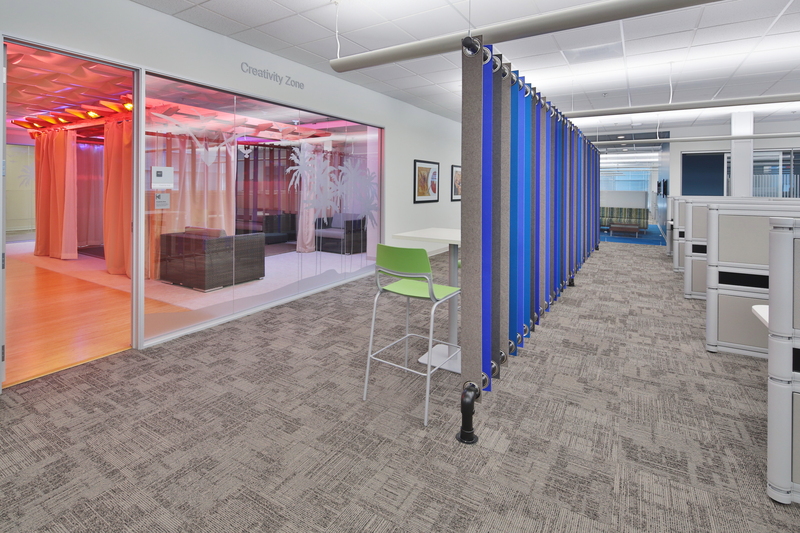 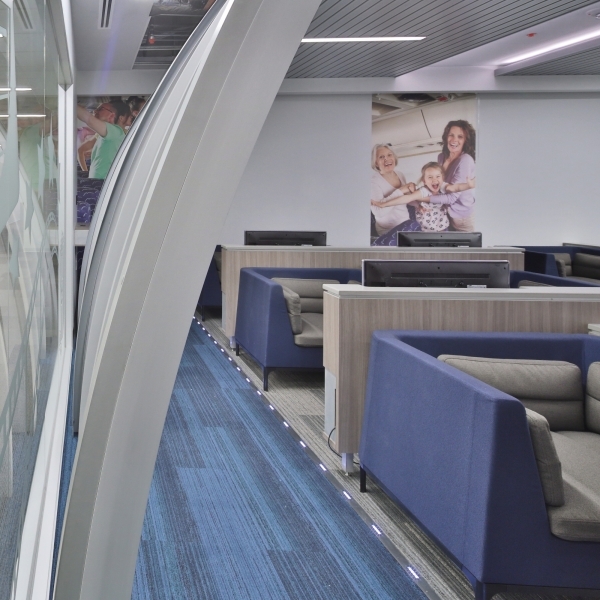 Collaboration areas varied from simple soft seating collections to themed creativity areas. 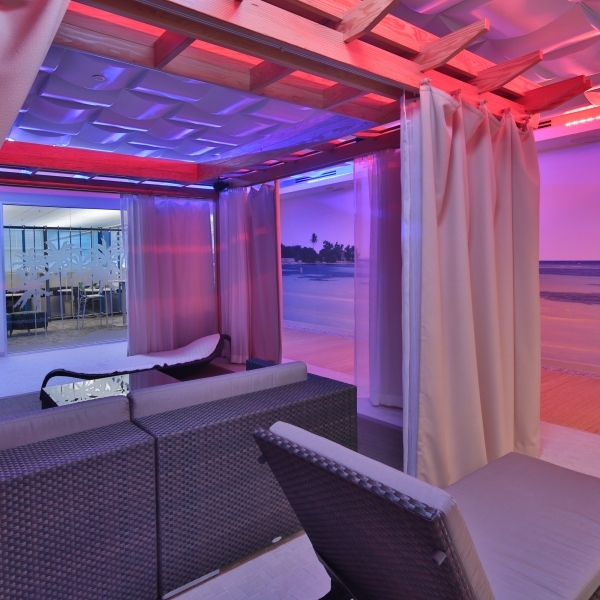 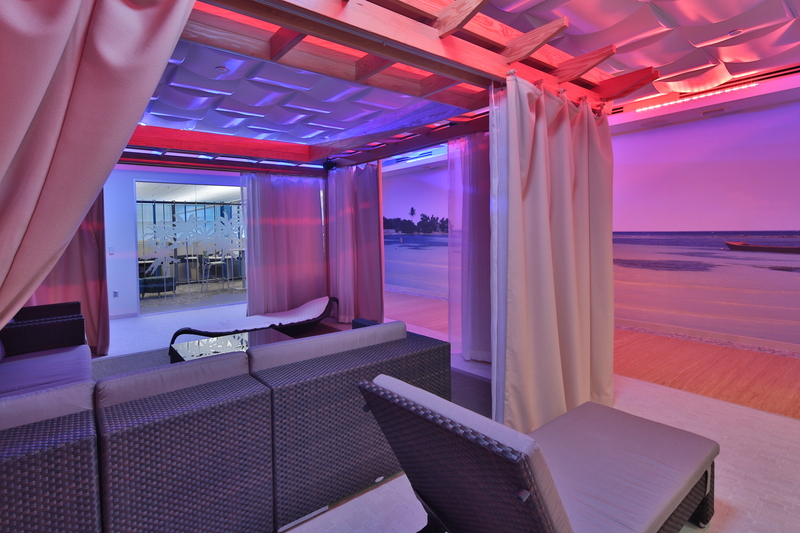 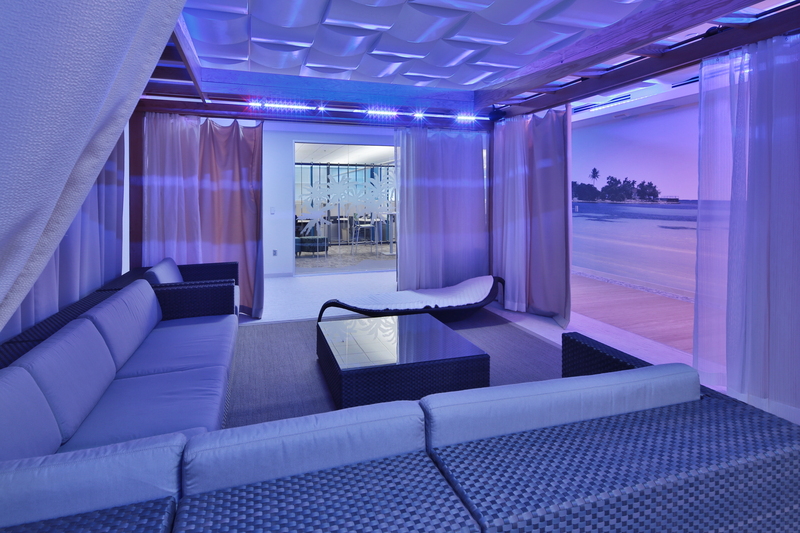 There is a cabana-style room, a putt-putt golf course, and an airplane inspired movie room.